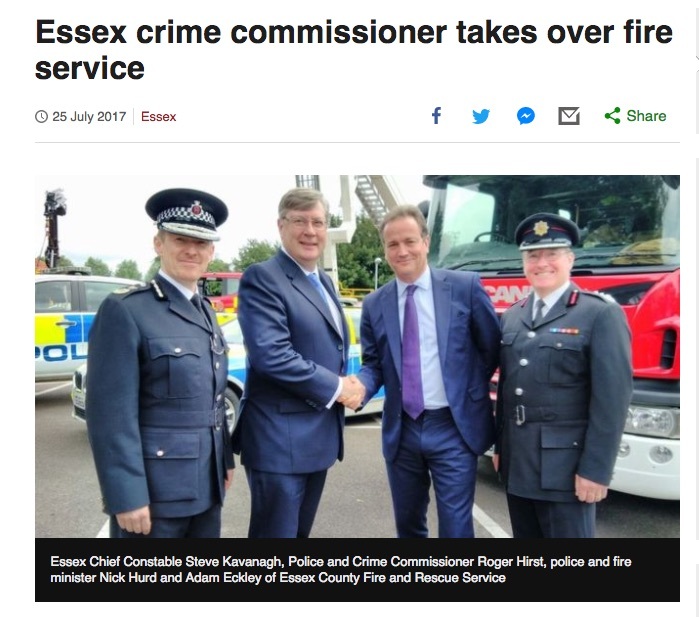 In July, the BBC reported that “Essex’s police and crime commissioner is to take on responsibility for the county’s fire and rescue service too. The process of extending governance models and the mechanisms used to evidence Local Authority and MP support for the extension includes many interesting documents and comments. The report and the files downloaded (links below) are captured here for ease of reference and in case the files are culled from other sources. Here is the Local Business Case which includes a glossary of terms and initials used.